"Between Xing Ji and Seng Hiang whom both claimed authenticity, we chose the latter. Contrary to what we remembered, this wasn’t good at all. The soup with the Bak Chor wasn’t tasty, noodles had a strong ghee taste that overpowered everything else. We used to look forward to the meatballs but they tasted so factory-made. Really disappointed such that we won’t wanna have it even if we stayed nearby, let alone having to travel here again." "The ongoing war between both stalls selling exactly the same dish. Which is better? Whichever has the shortest waiting time in my opinion. I personally think this dish might be simple, but terribly hard to perfect... but these stalls have achieved that. 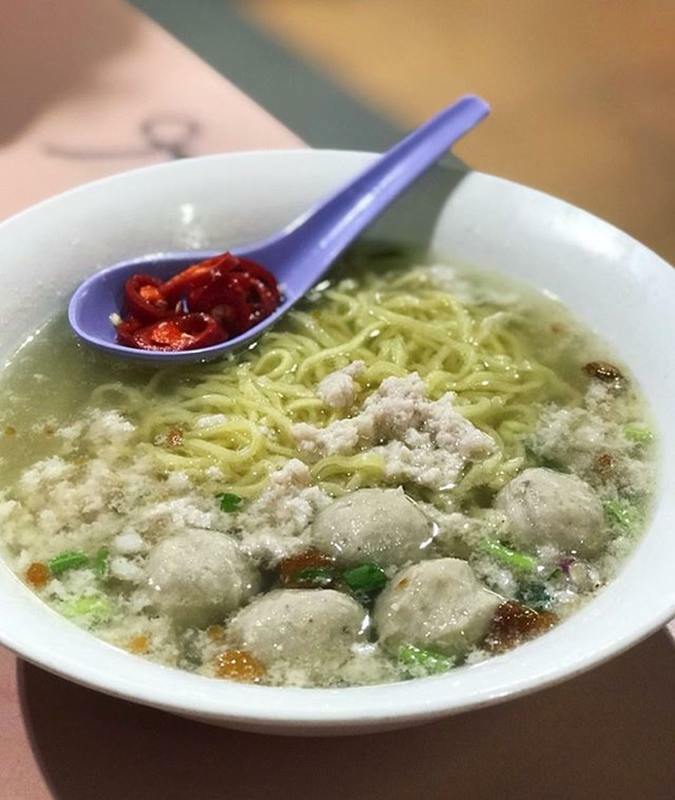 Well worth the 20-30min wait for a $3 bowl of goodness"
"The Burpple guide for Tiong Bahru mkt alerted me to this BCM. I asked for extra chili and added meat balls. I liked the look of it. Lots of liao covering the noodles. One of the better BCM around, and I loved the pork lard. The chili could be spicier thou. I will ask for more vinegar next time. Quite a substantial bowl of noodles. Be careful not to spill the delicious meat juice when biting into the meatballs. Soooo gooood! I wanted more. Soup was flavorful, thou there was a layer of oil on top. I finished it anyway." 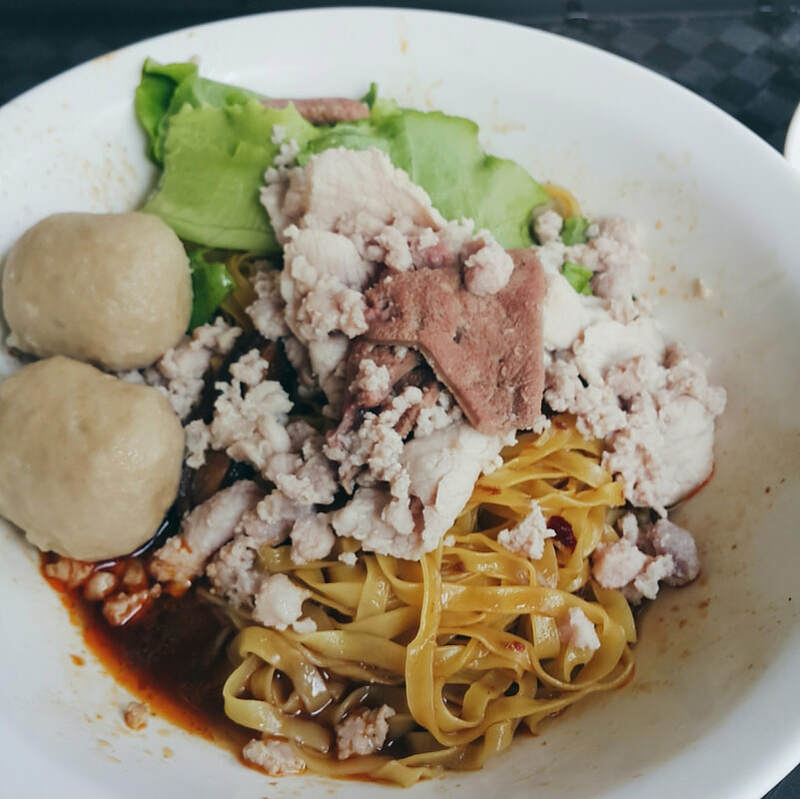 "Tastemaker Emily S loves the Bak Chor Mee ($3) here, and it's easy to see why. Let's start with the basics. The stall owner is generous with the vinegar, and the chilli packs just the right amount of heat. This provides the perfect canvas for the generous amount of ingredients, which includes sliced and minced pork, mushrooms and greens. Their claim to fame however are the homemade meatballs ($1 for a pair); make sure to add these on! Tastemaker Emily describes the meatballs to explode with flavours once you sink your teeth in, thanks to the filling of juicy minced pork. We're sold! "